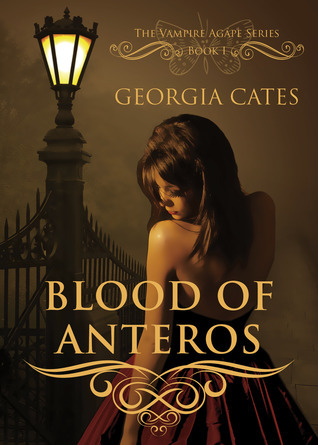 Georgia Cates takes a historic turn with her novel, Blood of Anteros, the first book in The Vampire Agápe series. It was an unexpected twist when this vampire novel drew from history to create the story line and Cates couldn't have done a better job at interpreting the myth of the Agápe to make it her own. The novel revolves around Curry, a vampire who would rather die then be tied to his sire. When the unexpected happens he is given a second chance at a life without her and the gods decide that it is his fate to have an Agápe. Curry is a courteous and very gentleman-like vampire. Having been raised in 1800s, he still holds his family values dear. Readers can connect with him based on the unfairness he has been shown in life and his desire to change for the better. He is granted his wish when he meets Chansey. She is Curry's Agápe, his fated love that will allow him to live like a human though she is also his biggest weakness. Chansey is a very likeable character with sharp wit and a tongue to match. The dialogue in this novel was wonderful and refreshing, though it did go a little over the top at points. Chansey is a strong character with a great sense of understanding. Cates does an amazing job at convincing readers of her Agápe status. Although, she does play the part of damsel in distress quite often which brings up the question of her true strength to readers. The plot that Cates creates for Curry and Chansey is a re-vamped (pun intended) take on the historical Agápe story. I had never heard of this before and am tempted to research the history to see how Cates adapted it for the story line. Blood of Anteros certainly stands tall in the genre of vampiric novels and I am eager to see how the story plays out in the following installments.